Here is a fun rhyming worksheet for kids that will help them master the skill of reading with a fun approach. 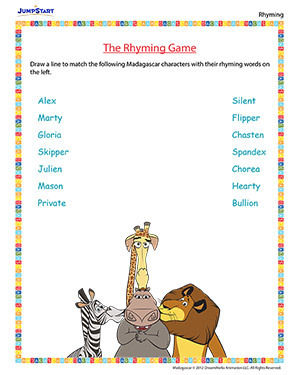 They will have to find a rhyming word for each Madagascar character therefore not only sharpening their vocabulary skills but reading skills too! Have fun reading.